What is Twitter Lite and why should you know about it? A few days back, Twitter announced Twitter Lite for countries where the Internet is still slow. If you still do not know about it, this post is for you. 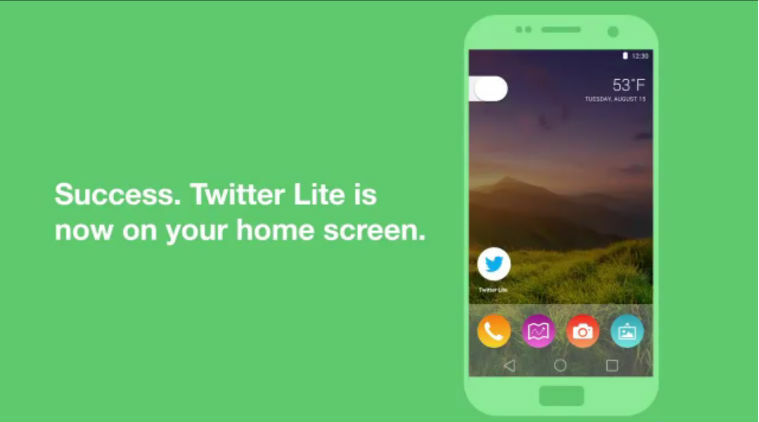 If you have heard the name, you should also read this article to know what this Lite version offers and how to access Twitter Lite on slow connections. Twitter Lite is a web app version of Twitter and aims to give the better experience of Twitter on the slow connection. The most important thing is that the company has not compromised with any feature while offering the Lite version of Twitter. How to access Twitter Lite? As I already said, it is a web app. So, you can access it by visiting mobile.twitter.com. Open it in your mobile browser and log in with your Twitter account. Twitter Lite aims to give good experience when the Internet connection is slow. So, it is light in weight and faster than Twitter site or app. Twitter Lite is fast and takes only a few milliseconds to load. You can browse your Twitter feed, access Notification, search and faster than you could do on Twitter’s main site or app. Most of the pages are of less than 1MB size and take less space on your phone. Twitter Lite is not just fast but it also consumes fewer data. To save even more data, it comes with data saver mode. If you enable the data saver mode, it will reduce your data usage by up to 70%. In this mode, it will not load images or GIFs until you manually tap on it to load. On modern browsers including Google Chrome, you will also receive a wide range of push notifications to get all the latest updates from Twitter. Twitter Lite also supports offline support. So, your Twitter experience will not be interrupted if you lose Internet connection. Unlike Twitter App, Twitter Lite is a web app. So, you will not have to update anything to get latest features. Twitter Lite will automatically get all the new updates and features. For those who have low storage in the phone, Twitter Lite is better than having the Twitter app on the phone. As it takes less space, Twitter Lite will consume less space in the phone than Twitter App. Not just space, it will offer faster experience without compromising with features of Twitter. Try Twitter Lite and Share your views with us in comments.